Communities throughout Prince William County are celebrating the season. Several holiday events have been scheduled. Here are a few festivities taking place. The Town of Occoquan is hosting a Holiday Open House from 4 p.m. to 8 p.m. today. At 8:05 p.m., a tree lighting ceremony will occur on the Town Hall lawn, which is located at 314 Mill Street. 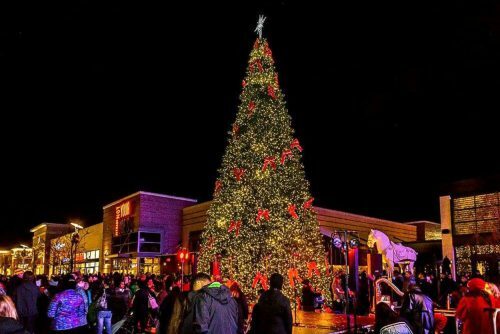 The annual Holiday Tree Lighting is being held at Stonebridge at Potomac Town Center in Woodbridge on November 23. Beginning at 6 p.m., the event will offer horse drawn carriage rides, activities and entertainment. Santa will be visiting the City of Manassas during the annual Santa Lights Manassas on November 30. The event starts at 5:15 p.m. at the Manassas Museum Lawn, where community members can listen to music. Santa will come to light the city’s tree before talking to area children at the Gazebo located near the Harris Pavilion. More than 100 bands, floats and dancers will be taking part in the 73rd annual Greater Manassas Christmas Parade on December 1. It will begin at 10 a.m.
On December 8, the Town of Dumfries will hold its Christmas Parade. The parade, which starts at Noon, will run from Main Street to the Dumfries Shopping Center. A Christmas Tree Lighting will begin at 5 p.m.
Santa’s Lake Ridge Parade will be taking place on December 8, as well. It will start at Tackett’s Mill at 11 a.m.
To see or submit upcoming events, visit our calendar.